In the above example, users are directly typing in the address the most, secondly they are coming from social media. Behavioral Pages: Google Analytics can also show you how many people are visiting your website, what pages they visit and how long they stay on your website. Improvements should start with the pages people visit the most. 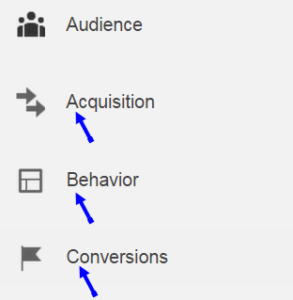 Google Analytics also has documentation available on almost every aspect; on both the implementation as well as the configuration part thorough documentation is available. This Google Analytics Tracking code library is a great start. Page Load Time — the number of seconds it took your page to load on average.